On June 30, 2018, at Speranza Hall, Brampton, we covered the wedding videography of Yewande and Yomi. Like we shared a couple of weeks ago, we shot their engagement sometime last year. You can check out the engagement video. At Allen Oba Studios, we believe that wedding films are a great addition to your wedding pictures and that is why we offer both services to our couples. We are a one-stop service studios offering packages that meet your budget, whether it’s for wedding videography or photography. Isn’t that awesome? For this wedding shoot, we started off from the bride’s location at the beginning of the day. She was located at Monte Carlo Inn, Brampton together with the groom. We are huge supporters of documenting the preparation videos and this was quite interesting for us! The bride was calm all through her makeup and hair session making our videos turn out great! Halfway through, we split and Allen went over to the groom’s room to capture him and his friends watching a football match: World Cup 2018. I remained at the bride’s location and documented time spent with her bridesmaids and family. After some hours, it was time for the ceremony which took place at a church. There was a limousine to pick up the couple at different times of the day. We continued the shoot at the church and once that was complete went over to the ceremony at Speranza Hall. On the day of this shoot, there was a terrible heat wave here in Brampton Ontario, Canada. However, we are really excited to share that despite the weather, we ensured to deliver on our promise. At the ceremony, there was a lot of dancing, the shoe game, cutting of the cake, toast and of course, the speeches! We documented every bit of the wedding. In this short video below, we are sharing a glimpse of the wedding day. Many of our couples request that we do short videos of around 1-2 minutes showing a summary of the wedding day. We particularly like this and offer packages that cover this along with the full day photography. It’s usually so romantic and shows the entirety of the beautiful wedding in a few seconds. We are happy that Yewande and Yomi loved their wedding video and we wish them a blissful wedding ahead. Thank you for giving us the opportunity to capture your special day, we enjoyed being a part of it. Are you planning your wedding anytime soon? Reach out to us and let’s have a chat! feel free to share in the comment section what you’d like for us to share next. To book an appointment with us, call/ text: +1 416 436 0401 or send an email to allenobastudios@gmail.com. We can’t wait to hear from you. We shoot for clients in the Greater Toronto Area as well as destinations outside of Toronto. Also, follow us on Instagram or Facebook and let’s stay connected! This video is a copyright of Allen Oba Studios. Do not use without explicit/ written permission. 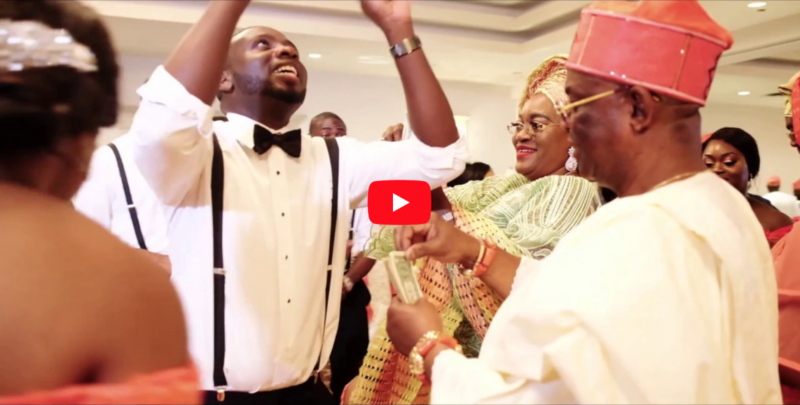 0 Comments on "Yewande & Yomi: Wedding Videography At Speranza Hall, Brampton"